FILE PHOTO - A killer whale swims in its tank at SeaWorld in San Antonio, Texas. NEW YORK -- SeaWorld, known for its water shows featuring killer whales and dolphins, has been dealing with falling attendance and revenue as people's feelings about using animals for entertainment has soured. 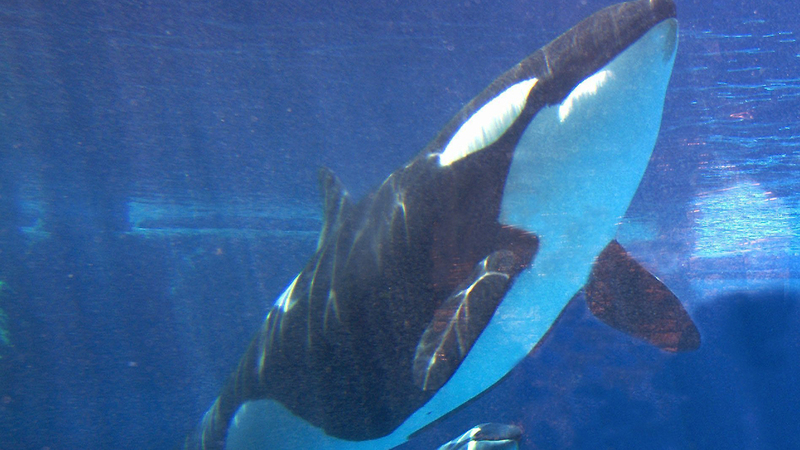 Earlier this year, the Orlando, Florida, company said it won't breed killer whales and stop using them in shows. The company will pay its last dividend on Oct. 7, and the amount it pays will be cut by 52 percent to 10 cents for each share owned, down from 21 cents in the previous quarter. SeaWorld says the money saved on dividends will be used to buy its own shares. Shares of SeaWorld Entertainment Inc. fell 6.5 percent to $11.86 in premarket trading Tuesday.